Tirupati is among the most famous pilgrimage site of India where millions of devotees come from all over the world. It is believed that no prayer goes unanswered at this shrine. This holy place is internationally renowned for the beautiful Tirupati temple dedicated to Lord Venkateswara (one of the avatars of lord Vishnu). The temple is nestled on the foothills of Tirumala Hills in a peaceful and beautiful environment. The picturesque Tirupati has several other shrines too. 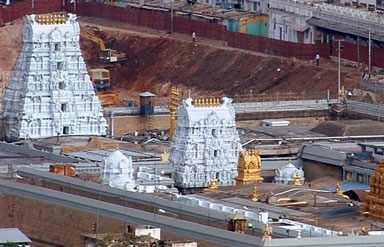 Tirupati is the richest temple in the world. 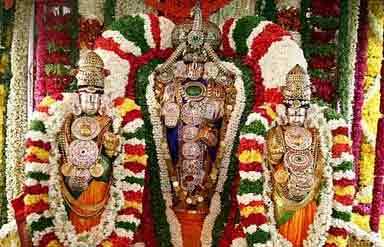 The term Tirupati consists of two words ‘Tiru’ meaning ‘Sri’ and ‘Pati’ means husband. Tirupati means Lord of Maha Lakshmi. The temple is visited by around 100,000 to 200,000 pilgrims’ everyday. The legend goes that the temple enshrines a self-manifested idol of Lord Venkateswara, and it is believed that the lord resided here during the Kali Yug. The temple is considered one of the 108 Divya Desams. Several rulers over the centuries contributed to the construction and wealth of the temple. 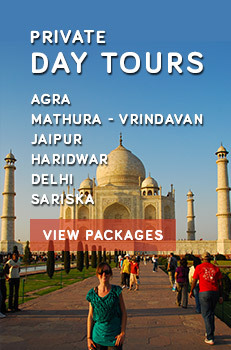 This highly revered temple of the Hindus is a famous pilgrimage site of India. Reflecting Dravidian style of architecture, the temple is dedicated to Lord Vishnu who is also called Balaji, Srinivasa, Venkateswara and Venkatachalapathy. This richest temple in the world attracts many a tourists’ everyday. The idol inside the main shrine is self-manifested. Devotees chant “"Yedu Kondala Vada Venkataramana Govinda Govindaa" at the temple. Festivals like Vaikunta Ekadasi, Rama Navami and Brahmotsavam are celebrated with great enthusiasm at the temple. Ideally located on the banks of river Swarnamukhi, this temple was built in honor of Lord Shiva. The perfect combination of the Chola, Pallava, Pandya and Krishnadevaraya styles of architecture can be seen in this temple. Rich in bio-diversity, the park is known for a variety of flora and fauna. One must visit this wonderful Park of Andhra Pradesh. Browse the colorful bazaars of Tirupati where you will find amazing handicrafts such as traditional Tanjore style gold leaf paintings, wooden articles and toys, idols of deities, brassware, bhajan cassettes and rangoli stickers. The perfect place for shopping here is the Bazaar Street in Chandragiri and Lepakshi Emporium. A variety of hotels starting from Government hotels to private luxury hotels, all are available here for accommodation. By Air: Tirupati is well connected by regular flights to main cities like Chennai, Bangalore and Hyderabad. The airport is at Renigunta, around 15 km from the city. By Rail: The railway station at Tirupati connects it to the cities like Delhi, Mumbai, Visakhapatnam, Chennai, Madurai, Puri and Hyderabad. 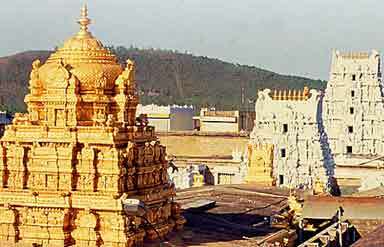 By Road: Tirupati is easily accessible from all the cities of Andhra Pradesh by road. It can also be reached from cities like Bangalore, Hyderabad, Ahobolam, Lepakshi, Kalahasti, Chennai, Vijayawada, etc.